Well it’s May and the Garden beds have been cleaned out. All the pumpkins have been stored and I am using them every day- Pumpkin soup for Lunch. I have planted the Brassica’s and next month start the onion and Garlic train. It’s a great time of year, beds getting some well-deserved rest and time to have a clean out and reassess. Time to find some much needed food- mostly I just use Cow manure found in local paddocks or at some local Cattle yards. 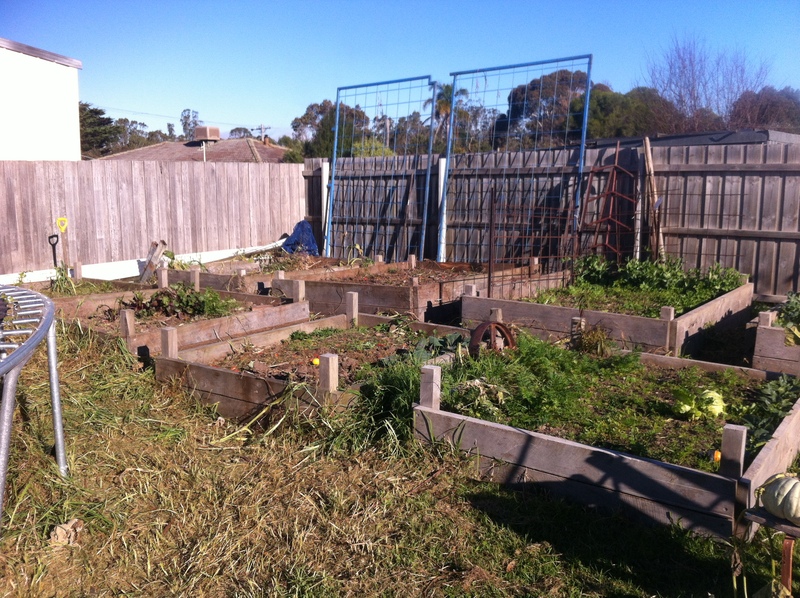 It all looks a little bare at the moment- but that is life in the veggie garden- too many beds then not enough beds. Each new season signals a new start, a new beginning and if the last season wasn’t as successful as you had hoped- so what- plant, restart, and go again- that is the thing about Mother Nature, she is really. If your fruit trees don’t bare- next year you get to fix your mistakes and go again- over and over- as long as you’re not exporting more nutrients than you are giving back- it’s all roses. In between my garden beds is where I throw all the plant matter- I walk over this throughout the year and when it’s ready it goes back into the garden beds. I think of it as a closed loop- the only things I wish to export are the actual vegetables- all of that plan matter needs to stay behind to form compost and nutrients. 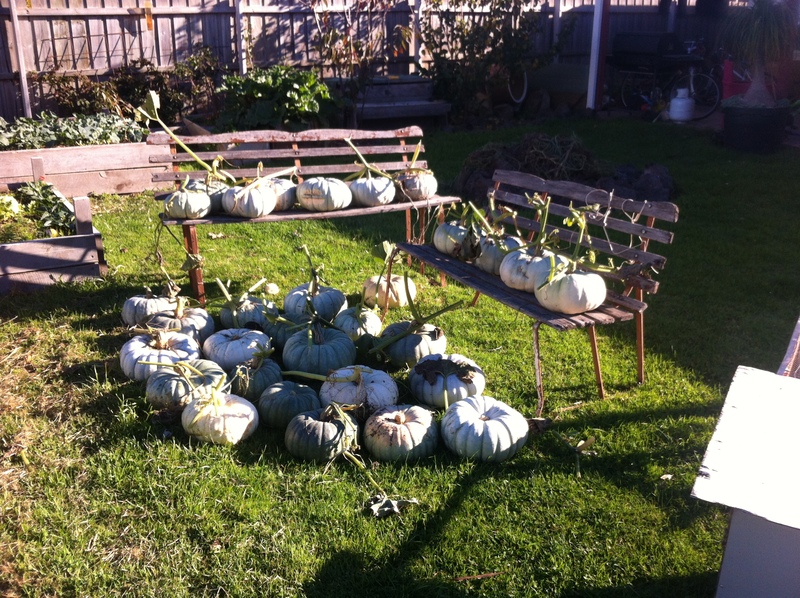 I ended up with 30 odd pumpkins, already started giving some away- that what food is for to bond relationships and grow new ones. Food is the gift of life and people even today recognise this. I have store some on a roof and some in the wood shed- I have read so much stuff all contradicting each other, so to hedge my bets- some inside and some outside. 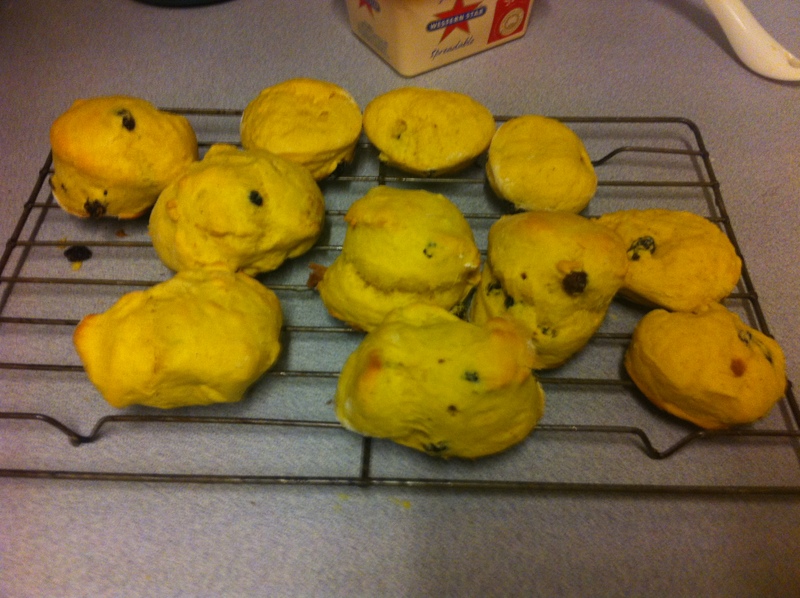 Some of the other great things to do with pumpkins is to cook Scones. I took them into work and supplied morning tea- of course I took in my own Plum Jam, made with Blood Plum (Satsuma) – the only plum!!. Of Course the Season has changed and should be out Deer hunting really, but when little windows open up- well you have to take them. 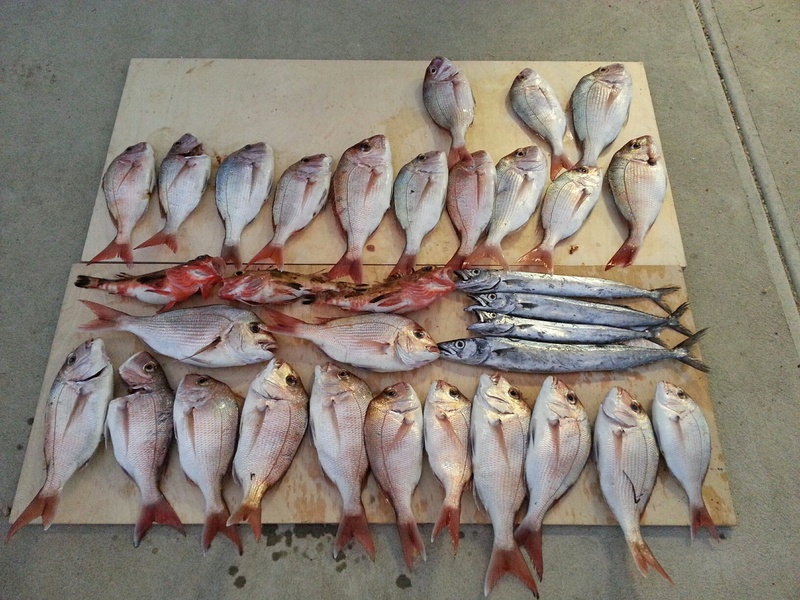 A lovely day out of Lakes Entrance, “Yep”- Snapper in May, also some gurnard. Even tonight while watching a cooking show- I have learnt about Fish Balls- and am so there. I will do some various things with this beautiful meat. Actually today I learned 2 things. Freeze fish with guts and scales still on- cook them that way and it will stay much moister. Jackpot with the pumpkin! Jealous indeed.